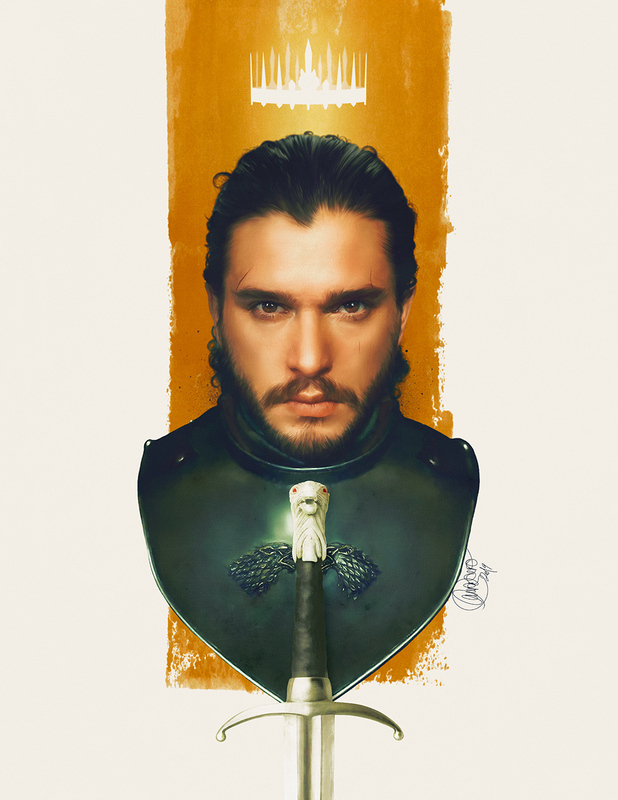 Digital portrait of Jon Snow, portrayed by Kit Harrington in the TV series Game of Thrones. I managed to finish this private commission just in time for the new (and last) season release. More pieces yet to come to complete a nice Game Of Thrones collection of portraits. Promotional picture was used as reference.